Dr. Marti Venn, who recently spearheaded the academic preparation and accreditation approval of Middle Georgia State University’s move from a state college to a university, has accepted the position of Deputy Vice Chancellor for Academic Affairs at the University System of Georgia. Venn, Middle Georgia State’s provost and chief academic officer, will spend the next two months transitioning to her new position at USG offices in Atlanta. Dr. Christopher Blake, president of the university, recently announced Venn’s departure in an email to faculty and staff. “While thrilled for Marti’s elevation to this system-wide role, I know we will miss her presence and leadership that has shaped the academic mission of the University so ably for many years,” Blake said. 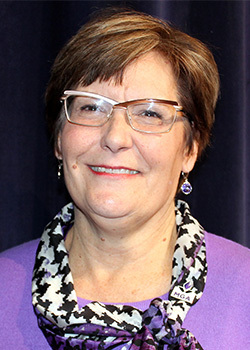 In addition to leading the college’s recent approval to award master’s degrees in nursing and information technology, Dr. Venn led the academic and regional accreditation efforts through the consolidation of Macon State College and Middle Georgia College to form Middle Georgia State College.This consolidation resulted in five campuses across a geographical region of 200 miles in central Georgia. The accreditation efforts continued with the process of Middle Georgia State College becoming Middle Georgia State University. Dr. Venn has had a distinguished tenure with the college. She arrived in 2005 following teaching and administrative positions in the field of special education at Valdosta State University and the University of Colorado. She was a professor and the founding dean of Middle Georgia State’s School of Education, a position she held for three years. She left for one year to become the Senior Executive Director for Educator Preparation at the University System of Georgia, but returned in 2009 to become the institution’s highest ranking academic officer, Vice President of Academic Affairs. Her responsibilities continued to increase, and in 2013 her title was changed to provost. In addition, Dr. Venn is a current member of the Georgia Professional Standards Commission Board, appointed by Gov. Nathan Deal in 2015, and she recently completed six years on the PAGE Foundation Board with three of those years as secretary. As Deputy Vice Chancellor for Academic Affairs, Dr. Venn will provide leadership and work closely with the USG institutions on academic and faculty related areas and policies. She will oversee program, curriculum, accountability, faculty affairs and policy. A nationwide search will begin soon to select Dr. Venn’s replacement.